Good question. Today I’ll share how I germinate tropical almonds. 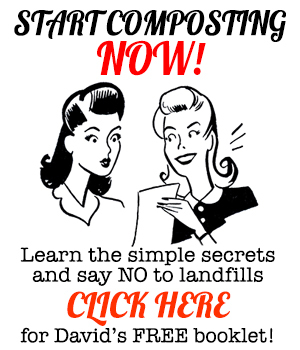 It may not be the best way or even the “proper” way, but it’s easy as heck and takes very little time. My method of germinating tropical almond seeds is easy. Here it is in two steps. Step 1: Get yourself some tropical almond seeds! The ship has sailed on the plant’s introduction to the Americas. It’s everywhere now! Part of the reason for its success in spreading are the seeds. Notice the fibrous husk on the seeds? That allows them to float like corks on the waves, taking embryonic trees to shores unknown. Plant ’em if you got ’em! Step 2: Plant Your Tropical Almond Seeds and Wait! I don’t do anything special when I plant tropical almonds. 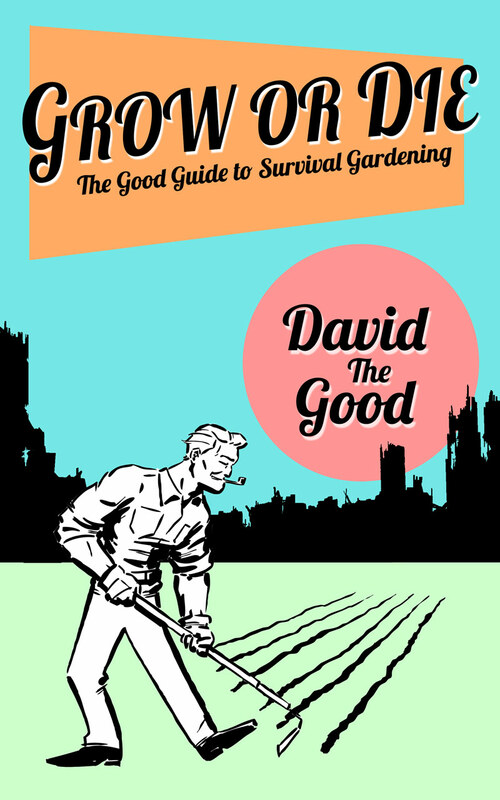 I just throw some soil in pots and stick them in the ground. Alternately, you can just plant them where you’d like a tree to grow. That means you should plant more than one. I planted something like a half-dozen I found on the beach to get the one sprout you see above. 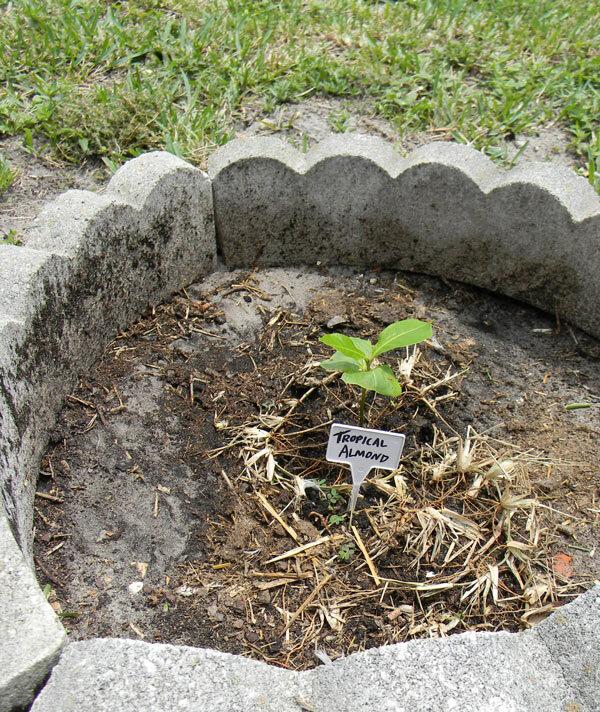 Jam multiple tropical almond seeds in some moist soil, whether in a pot or in the ground, then wait a couple of months. Thin out or transplant multiples, leaving one behind. 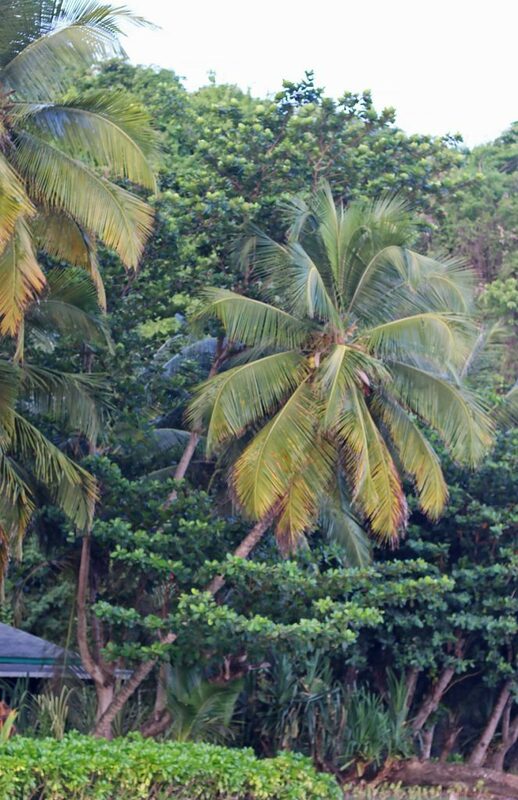 Why Plant a Tropical Almond? If you prune out the center of a tropical almond when it’s young, you can keep them much smaller than that. They’ll spread instead of going straight up, giving you a pretty and controllable tree. 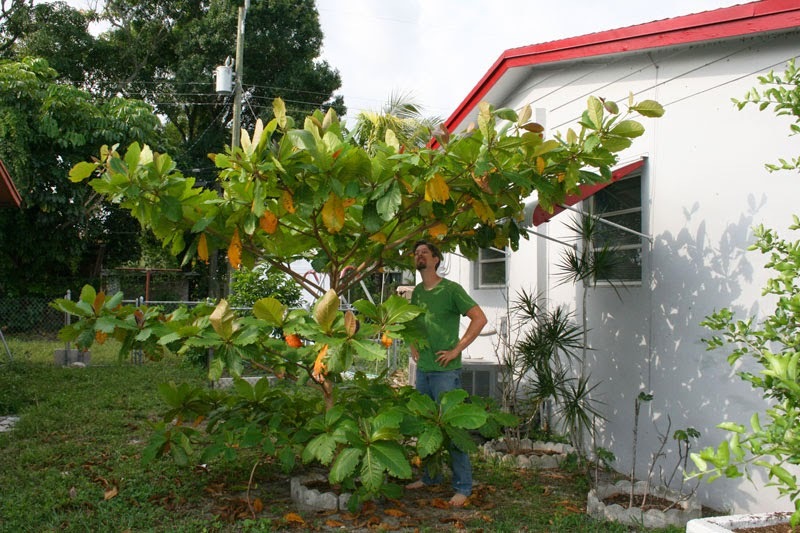 However, if you do have space and can let tropical almond trees reach their full potential, they will drop tons of nuts. Which brings me to another reason to grow tropical almonds: they’re edible! Here’s a video I made on the tree I planted. In it I also show you how to crack open the nuts. 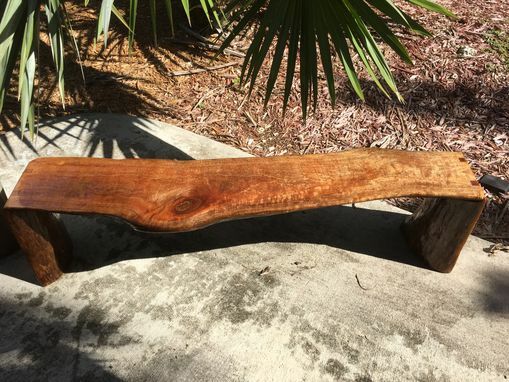 Here’s a beautiful bench a carpenter in South Florida made. It’s for sale, too – go see the listing here and you’ll see the beauty of the wood even better. If you have space to grow a tree, go for it. 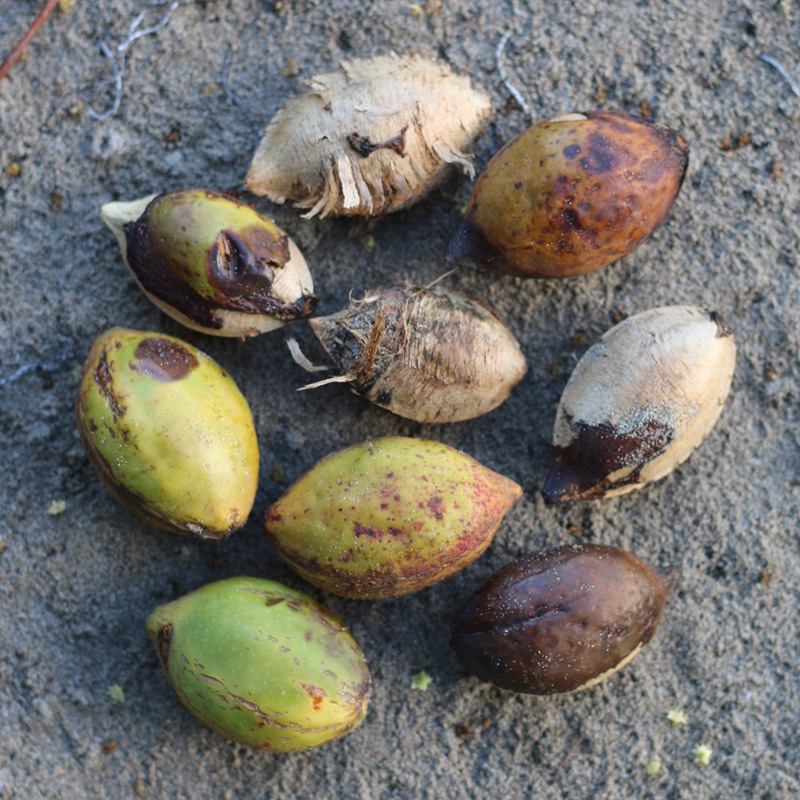 Germinating tropical almond seeds is easy and the trees are beautiful, very fast-growing, have edible nuts and are useful as timber. I plan to plant some when I get my own property. Some I’ll experiment with as chop-and-drop pollarded trees, others I plan to grow large so I can harvest nuts, then use some of them as timber later. 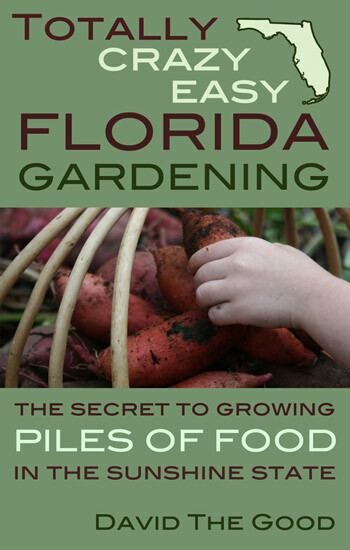 Finally, you can get my book Totally Crazy Easy Florida Gardening here. 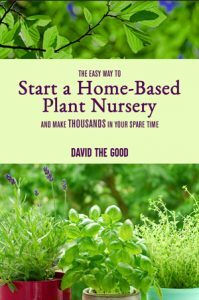 It has helped thousands of Florida gardeners so far and continues to be one of the best selling books on Florida gardening.